Jody Tompros, LCSW has been exploring and mastering the art of Intuitive Painting with Judith Forst of Reston over the last decade. 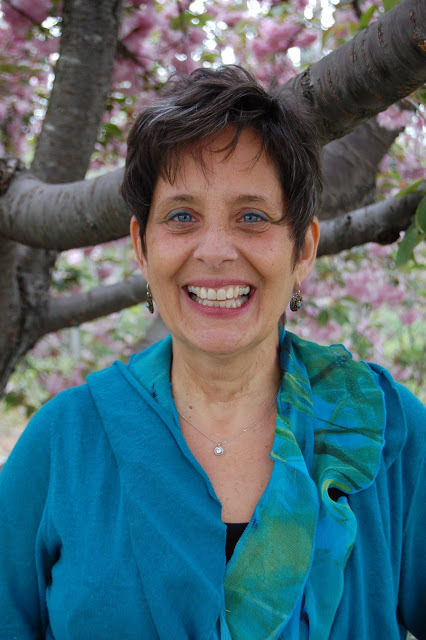 As a practicing psychotherapist of 27 years, Jody has helped thousands of clients transform and heal childhood trauma using a variety of intuitive, energy and cognitive methods. She has been practicing mindfulness meditation for the past 30 years. Weaving all of these threads of her life together, Jody has birthed Mindfulness Painting Experience: Creating Art from the Soul. Mindfulness Painting Experience is modeled after the groundbreaking work of Michele Cassou of Point Zero Painting. After watching uninhibited children make art, she developed her own method of process painting. She is the author of many books. Her first book published in 1995, Life, Paint & Passion: Reclaiming the Magic of Spontaneous Expression. Michele’s work sparked the creative juices of my mentor of many years, Judith Forst of Reston, VA an excellent teacher, artist and wise woman. Judith’s ability to be present and hold a safe space allowed me to go deeper into my unconscious and pay less attention to my inner critic giving me the freedom to be more self-expressive. During an intensive painting workshop in San Francisco last year with Barbara Kaufman (another student of Michele Cassou), my own creative juices were ignited. I had a vision of facilitating this unique process for others. I realized that I wanted to synthesize my decade of intuitive painting; my 27 years of heart centered psychotherapy; and my 30 years of mindfulness meditation. I saw myself sharing this experience with others by holding a space that allows the creativity and unconscious of another’s Soul to emerge – giving it a voice, colorful expression and texture. As the brush intentionally moves across the canvas, our unconscious gifts have permission to be revealed.